Located in Florence, Arizona, The Windmill Winery was founded in 2001 on a refurbished, rural brickyard. This historic and scenic place serves as a wedding venue, offers wine tasting, and hosts other special events. If you’re planning a trip to The Windmill Winery, let Via Trailways help you get there! We want your trip to be as stress-free as possible so you can focus on having a relaxing and fun-filled time. 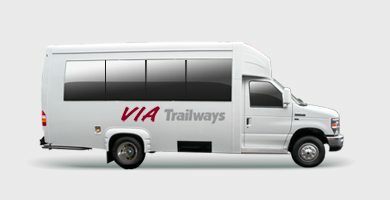 When travelling with Via you’ll be able to relax in one of our comfortable, secure charter buses after a long day of wine tasting.